Cupping is a treatment used in Traditional Chinese Medicine. It involves the use of glass or plastic cups that are placed in various locations on the back, arms, or legs with suction to pull the underlying tissue up into the cup. The cups are left on for a period of time while the patient relaxes. By creating suction, muscular and fascial tissues are pulled into the cup. This movement breaks up adhesions and knots in the tissue, allowing a release of tension. The end result is similar to massage techniques. It also draws blood to an area, and creates some tissue damage through bruising which encourages the body and immune system to speed the healing process in that area. 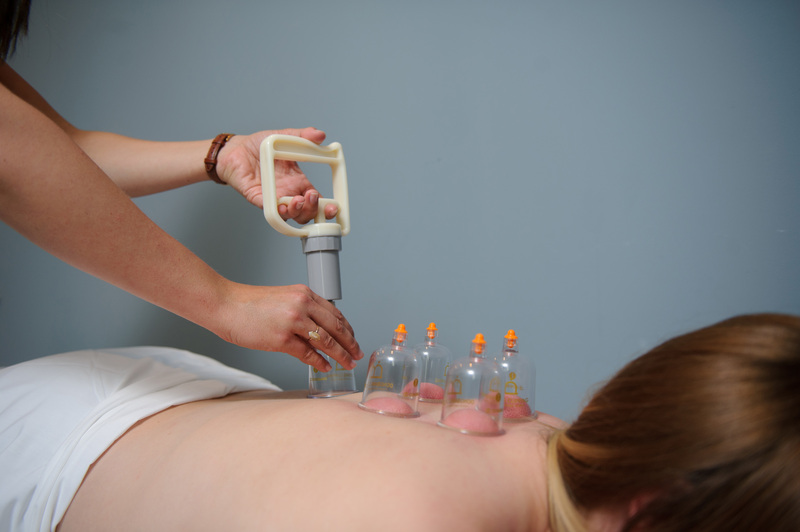 What Conditions Are Treated With Cupping? Cupping alleviates sore, stiff muscles, speeds up the healing of injuries such as muscle strains and improves relaxation. You can also use it as part of a Traditional Chinese Medicine protocol to stimulate specific acupuncture points for a variety of concerns. Does It Hurt and Will I Bruise? While a cupping treatment is generally quite comfortable, many people do find that they bruise afterward. This is a part of the healing mechanism of cupping. Your naturopathic doctor can advise you on what to do if the bruising becomes uncomfortable. If you find the bruising to be too intense, your practitioner can decrease the suction at your next treatment. Acute injuries such as muscle strains benefit from more frequent treatments such as twice a week, while chronic concerns and relaxation cupping can be addressed once a week or less frequently. The number of treatments depends on the severity of the injury or concern, but most patients report a noticeable change after their first treatment.